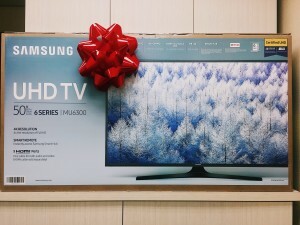 This is the time of year that we reflect on all that we are thankful for. For the family of Four Seasons Roofing, we are always beyond thankful for our beloved customers who have put their trust in us to help create the home of their dreams. 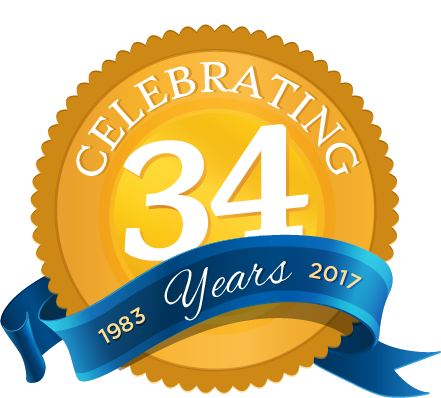 Throughout the year, we always personally our thank our customers for doing business with us, but we felt that there is always more we can do to convey our thanks for keeping us in business for over 34 years! 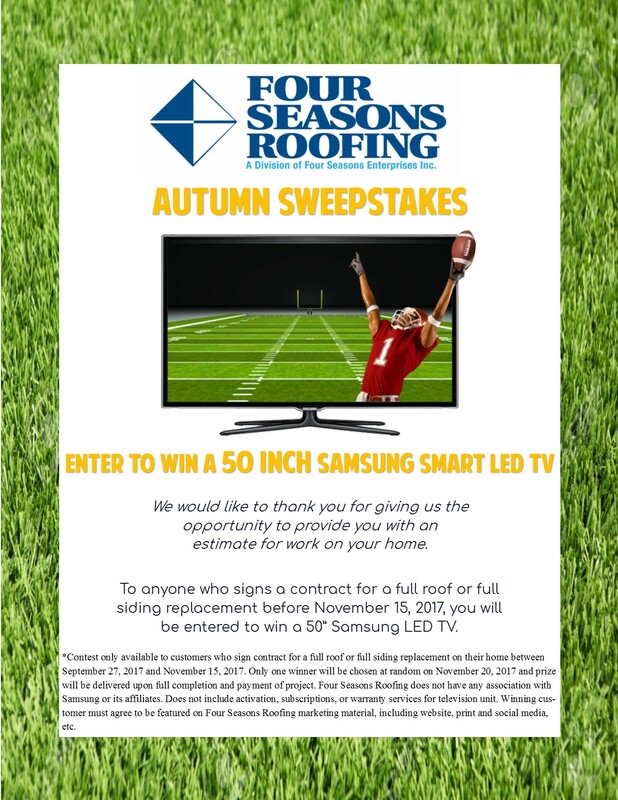 This year, we have introduced our Inaugural Autumn Sweepstakes, in which one lucky winner who signed a contract with us between September 27, 2017 and November 15, 2017 to have a new roof or new siding installation completed on their home, would win a Samsung 50-inch LED 4K Smart TV! 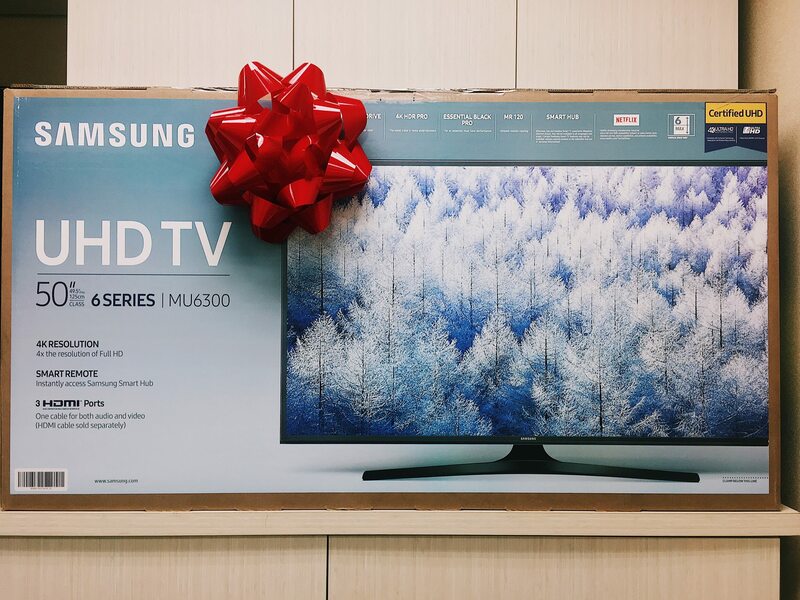 The winner of our Autumn Sweepstakes will win this brand new 50-inch LED 4K Smart TV!